Have you been waiting to purchase resources for teaching The Hunger Games, Catching Fire, and Mockingjay until a sale comes along? Well, tomorrow and Tuesday are the big days for the TeachersPayTeachers sale! I won't be marking my materials down until the teacher appreciation sale in May, so stock up while you can. Use the code CMT12 at check out to get the greatest discount. And guess what? I am putting my CDs on sale, too (which I rarely do because I tend to lose money on them). This is my way of thanking you for your support these last three years (yep, three years on TpT!). Don't forget that you now have the option to purchase on a USB flash drive rather than a CD. Just leave me a note and let me know you want the USB flash drive option (there's a box to leave a note to the seller when you check out--or after you check out). I created a new heading leader logo in my store (see above), so it's super easy to find materials for teaching The Hunger Games trilogy. If you click on that link, it takes you to the 3-CD product, which actually has links to the CDs and the digital products. Below is another logo that links to my second best-selling product, Creative Activities for ANY Novel or Story (or any unit, for that matter). 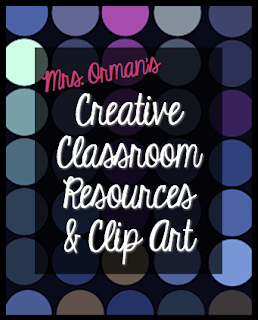 I recently updated it with new activities and printables. If you haven't checked it out, the sale is a great time to do so! I just want to thank you all for supporting your fellow teachers. It means a lot to us and we hope you find lots of great sales over the next two days. Thanks for all you do!